These elements provide complete information about the patient allowing the physicians to get crucial details of their patient and effectively provide better medical care and accurate decisions. In addition, the attractive report becomes more marketable. For more informaiton on how we can help you increase your marketabiliry contact us for an on-line demo followed by a TEST DRIVE of the solution with no obligation. 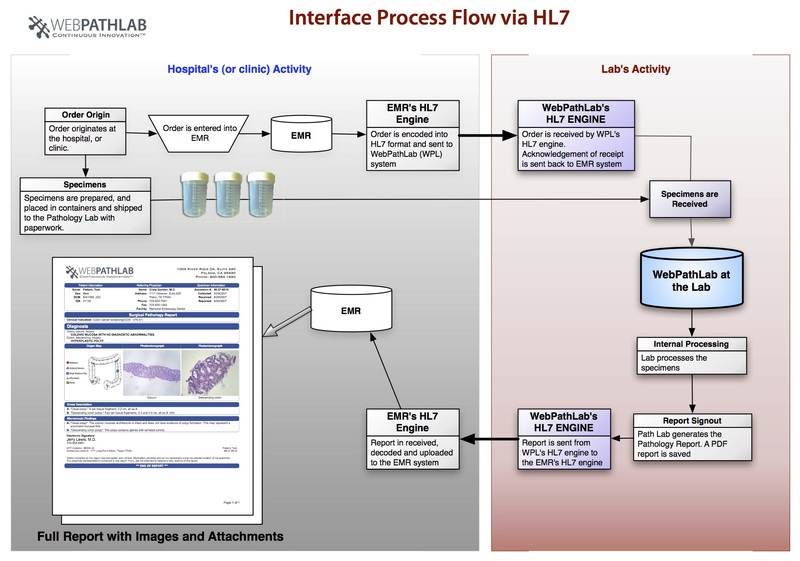 HL7 interface flow of information.